Healthcare consumers in southern New Jersey have voted the Virtua Voorhees hospital with the highest “quality and image” ratings of all hospitals in what is identified as the Camden market and includes Camden, Burlington and Gloucester counties. 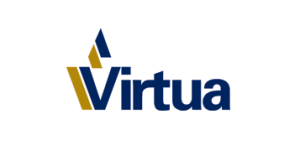 Virtua was the area’s only recipient of the 2014–2015 Consumer Choice Award from the National Research Corporation. This is the seventh time Virtua has won this prestigious award. Winners are determined by consumer perceptions on multiple quality and image ratings collected in National Research’s Market Insights survey, which is the largest online consumer healthcare survey in the U.S., surveying over 290,000 households. The award winners are hospitals which healthcare consumers have identified as having the best reputations for high-quality care, improvement initiatives and positive consumer perceptions and experiences. At Virtua, Miller said people are cared for at all stages of their lives through a range of health and wellness services.